Use these steps to verify that the OneDrive for Business sync client is current, or update it to the current version. The steps depend on whether you installed Office or the sync client through a setup program (MSI), or through Click-to-run. 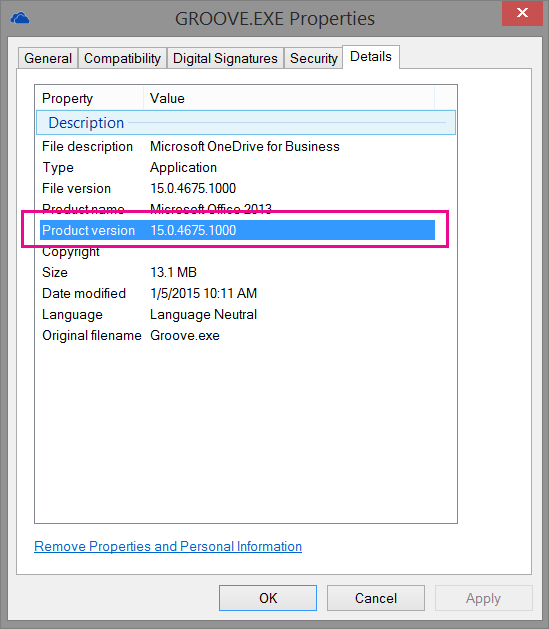 This article covers updating the longtime OneDrive for Business sync client (Groove.exe), not the new OneDrive sync client (OneDrive.exe). Which sync client am I using? The new OneDrive sync client is updated automatically as specified by your IT department. If you're an Office 365 for business user and you installed Office applications through Click-to-run, your OneDrive for Business sync app stays up-to-date as long as you don't disable automatic updates. Follow these steps to determine whether your Office applications were installed through Click-to-run. 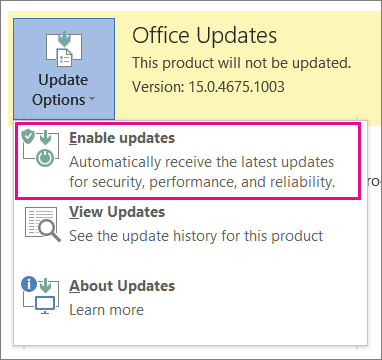 Note: When you choose Update Options but you don't see Enable Updates, this means your updates are managed by a Group Policy. 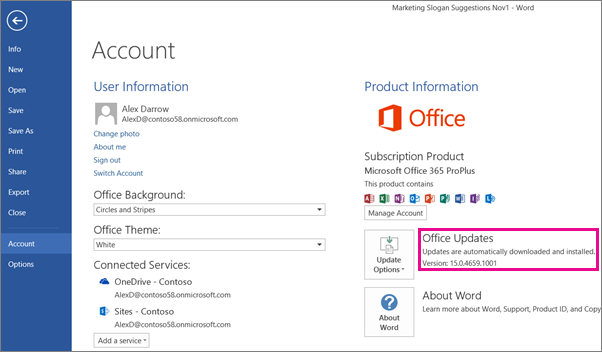 In this case, follow these steps to turn on automatic updates for Office applications, including OneDrive for Business. If you installed the OneDrive for Business sync app separately through Click-to-run, it updates on its own when the update service advertises an update. Usually, your computer updates after it restarts. 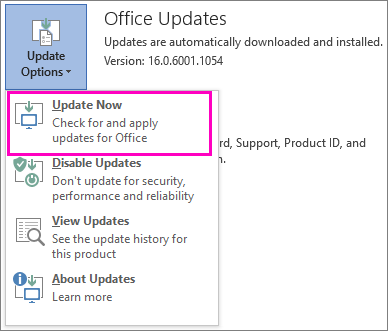 If your Office apps aren't updating automatically, choose the Update Options button, then choose Update Now. Under Uninstall or change a program, select Microsoft OneDrive for Business 2013, and then choose Change. 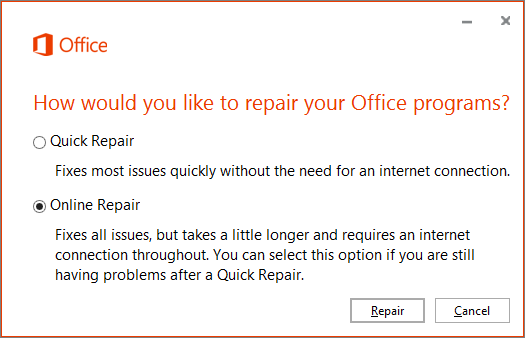 In the How would you like to repair your Office programs dialog box, select Online Repair, and then choose Repair. 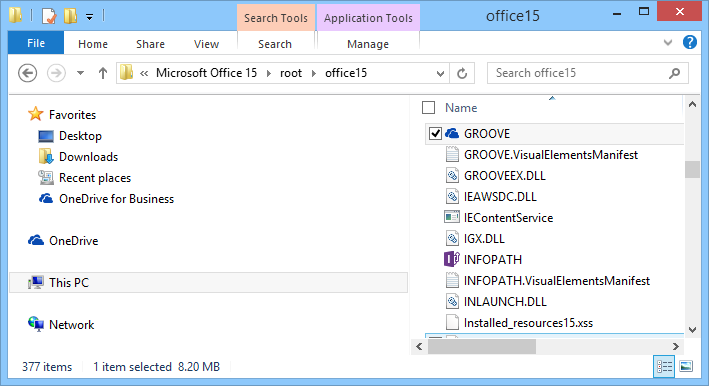 If you installed Office through an MSI, you usually find groove.exe at \Program Files\Microsoft Office\Office15.